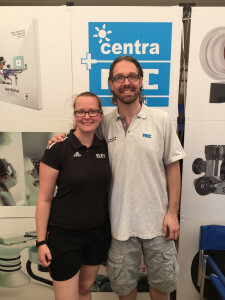 For you on site are Maik Eckhardt and Christiane Klöckner. The team centra is with Johann Zähringer and Michael Janker on the spot. Aiming with micrometre peep sights and a front sight tunnel is an almost perfect solution. But even nearly perfect solutions can still be improved. In competitive sports, every point counts, especially in finals or benchrest shooting. Those tenth can make the difference between success and failure. Indeed the tolerances are tiny, particularly while aiming, when the front sight can become misaligned with the iris aperture. In fact, if the front sight is not perfectly centred in the iris aperture, the shot will miss the bullseye. Also this year we have come up with a few quiz questions for you again. But you can expect also a surprise or two in our advent calendar. 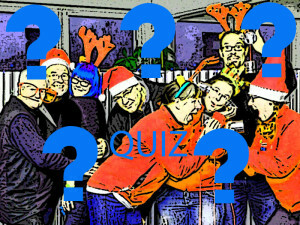 We wish once again a lot of fun with our MEC Christmas Quiz! There are a total of six questions hidden in our Advent calendar. Please send us your answers via the contact form on our website or directly via the relevant door on the Advent calendar. You will earn a point for every answer you get right, up to a maximum score of six points. The list of winners will be based on the total scores. If there’s a tie, three lucky winners will be picked in a draw on 24 December! If you have any questions, please contact us by e-mailing julia(at)mec-shot.de. The international arms exchange, short WBK, is a public exhibition for everyone. From November 26 to 29, we are represented for the first time with a booth of MEC and centra in Kassel. 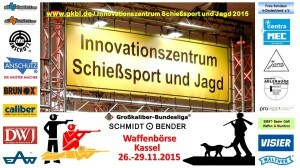 You will find us in hall 2 directly in the innovation center shooting sports and hunting, stand number: T-11th. Opening times: Thursday 10-18 clock, Friday 10-18 clock, Saturday 10-18 and Sunday 10-14 clock. Dryness is one of the most frequent problems we experience with our eyes. It can manifest itself in a range of different symptoms: A feeling of dryness or that there is something in the eye, redness, a burning sensation, itchiness, scratching, streaming eyes, pressure, tired eyes, light sensitivity, eyelids that are stuck together in the morning and swelling or inflammation at the edges of the eyelids. Symptoms like these are particularly problematic for shooters, as they have a major impact on visual acuity and therefore on concentration, too. We unveiled it at IWA, the international trade fair for shooting sports in Nuremberg, and now it is in stock and available for delivery – the MEC Free Position II. The first weekend at the German Championship has passed and our MECis were not only hard-working at the booth. Steffi had the chance to show her shooting skills on the range even three times. Regarding to the question about her best result she clearly answered: “571 in three-position was just awesome, it could not be any better. Finally I shot more than 570.” But with her results in air rifle (388) and 582 in prone-position she could also be very pleased. Of course we do not want to forget our boss who had to start with small-bore rifle. Even two times Maik participated in the finals and showed his competitors that he is still remarkable. In the end Maik achieved 7th place in three-position and 4th place in prone-position. Because of the great result with his team from Bruchmühlen Maik could be happy nevertheless. Together the team achieved the 2nd place and earned the silver medal. We hope your German Championship was also quite successful! How was it for you? Do you actually have to start once again? We look forward to read each and every of your posts. We are still there for you at our booth in Munich until Sunday and are excited for the Junior weekend. Lyne Tremblay "A big thank you to a great team!" Finally it is here! 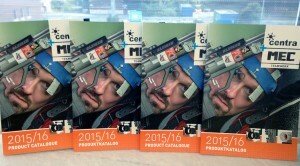 Our brand new catalogue is printed and ready for shipment!